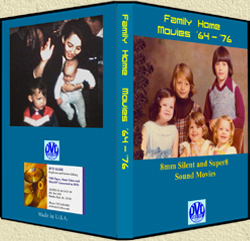 This is excellent product for taking your special videos (such as a birthday, anniversary, or wedding,) and preserving them, or sending copies to friends or relatives as special gifts. These DVDs come in a high-quality full-size case (similar to a rental store), not generic "thin cases". Deluxe DVD's are printed on directly (not stick-on labels) in full-color with 100% coverage, and include a insert card inside the case. This product has a fast turn-around, as there is no editing involved: what's on the source will be on the DVD. 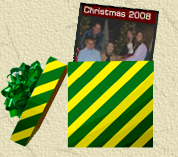 Deluxe DVDs have the exclusive option to add picture of your choice to the Cover and DVD to make a very individualized gift or presentation!eluxe DVDs as low as $30.00 (Suitable for Gifts). You won't find this available at the drugstores or super stores! 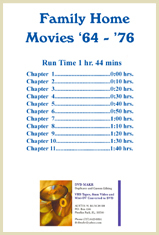 Chapters can be set to your events from your viewing notes. (Example, "make Chapter 2 at 8 mins. 20 secs when during Wedding cake ceremony, at 47 mins. 15 secs remove the Groom breaking the champagne glass, and at 1 hour 2 mins. and 15secs when the Guests are toasting the Bride and Groom"). We are unable to transfer Betacam and HD MiniDV tapes. *A 2 hour VHS tape to MPEG-4 will NOT automatically divide itself to fit onto a Flash Drive, it has to be MANUALLY divided into less than 4GB parts (the limit of a Flash Drive file size), this means that it has to be edited to 4 or more separate parts to be able to save it onto a Flash drive or Data DVD. **$5 Discount on Video Files to Flash Drive if we are already making your video into a DVD. 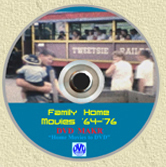 NOTICE: MPEG-2 and MPEG-4 DVDs will not play in most DVD Players! This type of product is for you to download the files to your computer for you to edit yourself only. *NOTICE: Your video and audio files are only kept on computer for 30 DAYS for you to make duplicates for family and friends.For future use, or to protect against damage or loss, we can archive your DVD with us for $3.00 per DVD. With this service, a DVD can be re-made for you in usually 2 days.